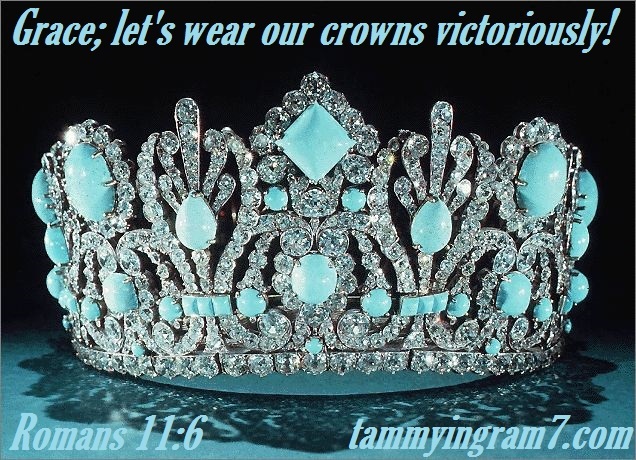 Grace; wearing our crowns of beauty victoriously! Are you like most modern-day women, spending countless hours at the beauty salon perfecting glory, while spending thousands of dollars on the perfect wardrobe, enduring biweekly mani-pedicure visits, exercising and promoting vegan lifestyle while presenting the perfect selfie? Yet within minutes of going through a slight trial, it exposes the real condition of your beauty, you know, those cast-iron horns you’ve been trying to hide? Ouch!!! Where’s my makeup that adorns, or sustains, my beauty? Grace needed (Romans 11:6). I don’t know about you, but one thing I have noticed myself during great trials and tribulations is that God uses these opportunities not only for refinement purposes, but if we believe what He says regarding our beauty, worth and value, He will show us what is meant by true beauty in the purest form! 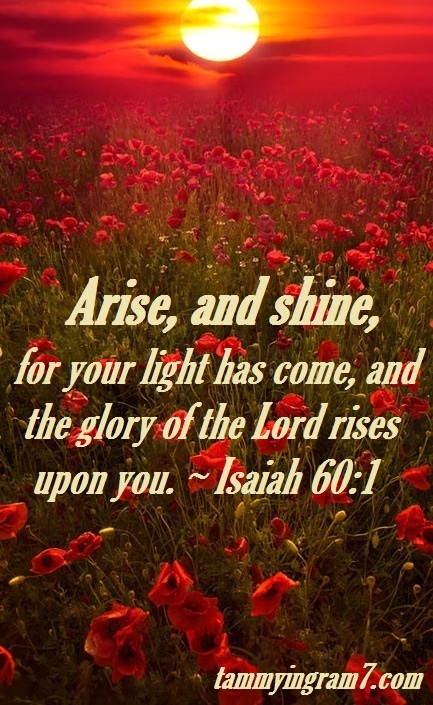 A Beautiful Beloved’s attitude and inner spirit during these trials projects the beauty within; you know, that inner beauty that shines through all the cracks glued and woven together by the Lord. We all wear many hats and have a wardrobe that adorns many jewels with facades to match, but maybe it’s time to allow the conviction of the Holy Spirit to expose the deep recesses of our tattered hearts that need to be mended and dealt with as a part of our daily regimen. I know today I put on the most beautiful pink dress, adorned with silver gemstones and beads, along with the sexiest (so I say) pair of ankle strap sandals this Grammy Tammy could comfortably wear, along with sporting the most amazing hair day ever, and you know what, between the relentless battles with the insurance companies and a grand-baby waking up several times throughout the night, along with the forfeiture of my morning Bible study time with the Lord; I might as well have dressed and presented myself in my delusional PJs. My presence was anything but beautiful and graceful, and my son and granddaughter witnessed this less-than-perfect woman, along with the world, that I would rather they not have seen. I may have looked beautiful on the outside, but my inner beauty did not correlate with the Beautiful Beloved God says we are or designed us to be. You know, life is hard at times for all of us; sometimes there are days we wonder who really exists inside of us. That’s the beauty in being a child of God and being an heiress to the throne of God while claiming the inheritance that the kingdom of God affords. God knows we struggle, understands the consequences of sin in the world, and also orchestrates oftentimes the trials and tragedies that come along in life just so we can see where we place our worth and value. When we place our worth and value on the material things, you know, salon visits, fashionable clothes and shoes, and how we dot our i’s and cross our t’s, we forget that our relationship with the Lord is what is important in life and delivers the permanent beauty mark that sets us apart from others. We may be able to mask over what is truly going on in our lives, but one thing we cannot neglect is the condition of our hearts that is built upon our relationship with Christ. There’s no amount of makeup, hairstyling, or exercise regimen that can mask over what is truly going on in the deep recesses of our hearts. Beauty starts from the inside. Shouldn’t we start spending more time working on the inside of our hearts and less time on what we believe reflects the true beauty of our souls? I know I am. I look less than desirable without my makeup, my facade; but one thing I want others to see in me is my love for Christ, whether exhausted, depleted, angry, frustrated, you name it! I know God says I’m a Beautiful Beloved and each trial that comes my way just proves how running this race is a lifetime event! 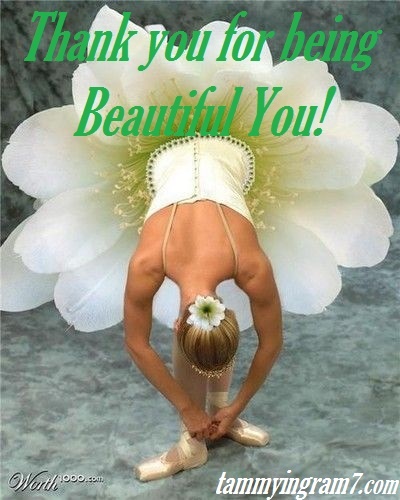 Thank You For Being Beautiful You!!! Thank you for your calming influence, I can see Christ in you. You must be seeing Jesus; thank you! Isn’t that just like Him to be a calming influence in our lives?